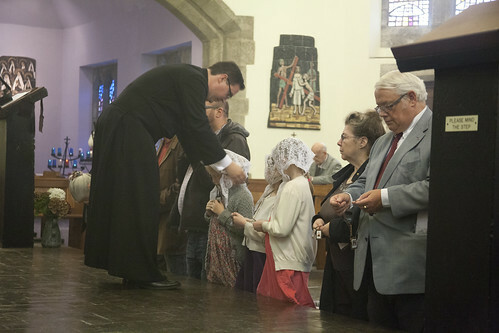 Here are some more photographs, quite a crowd of people were clothed with the Brown Scapular by Fr Marcus Holden at the Latin Mass Society Pilgrimage to Aylesford Priory. Aylesford is the home of the Brown Scapular, where St Simon Stock (probably) had his revelation about it from Our Lady in 1251. We were in the chapel which houses his relic. The old Catholic Encyclopedia has a wealth of information about scapulars of all kinds here, and on the Sabbatine Privilege here. 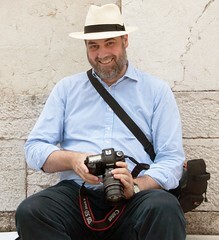 It goes without saying (though perhaps it does need saying) that like all sacramentals (medals, blessed objects and so on) the effectiveness of the Scapular is dependent on the dispositions of the person using it (ex opere operantis), unlike sacraments which are valid regardless of a lack of pious dispositions, sinfulness and so on (ex opere operato). Even valid sacraments, of course, won't convey grace to recipients who resist that grace. The Brown Scapular can help you get to heaven, but not without your cooperation. It doesn't work like a magical amulet or secret password, like those offered to initiates by ancient Gnostic sects (and the Mormons, I gather). The Scapular is one of the Church's most important sacramentals, and was recommended, along with the Rosary, by Our Lady at Fatima: here is the classic image of her holding them both out to the children. Given the range of sacramentals she could have recommended, this is surely significant. While sacramentals are sadly neglected in the Church today (it is disappointing to see the very limited treatment of them in the Catechism of the Catholic Church and the 2001 Directory on Popular Piety), but they are needed more than ever to feed our faith and remind of it through the day. It is only a slight exaggeration to say that the Brown Scapular is almost a uniform for Traditional Catholics in some circles. 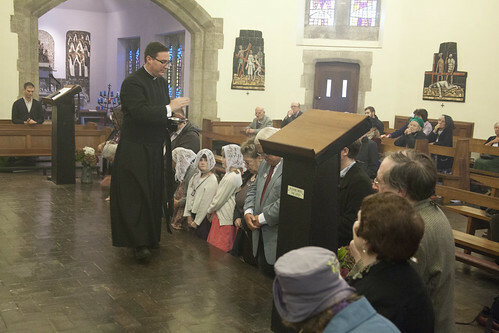 There cannot be a better place to receive it than before the relic of St Simon Stock at Aylesford. The Altar of Our Lady of Fatima in SS Gregory and Augustine in Oxford decorated for the Maternity of Our Lady (11th Oct). The statue has recently acquired a large Scapular.